Ok, this post is long overdue and apologies for that. It felt like whenever I sat down to write it, it was a daunting monstrosity that was easier to postpone than bang out. Then I decided to split it into two posts, and suddenly it became much more manageable. Since I’ve been getting more emails asking for food recommendations, I figured it would be better to have one (or two) posts to direct people to than typing the same things out over and over. SO HERE WE ARE. This is by no means an exhaustive list and I’m sure that I’ve left something out and will have to come back to update it at some point. Today’s post is focusing on my favorite healthier eats and I’ll save the good stuff (donuts) for part two. I’m not a huge sit-down restaurant person, so many of these are fast casual or grab and go spots. If you’re looking for something specific or something a little fancier, feel free to shoot me an email at erinsinsidejob@gmail.com. Without further ado, here is my list of favorite healthy foods in the city. 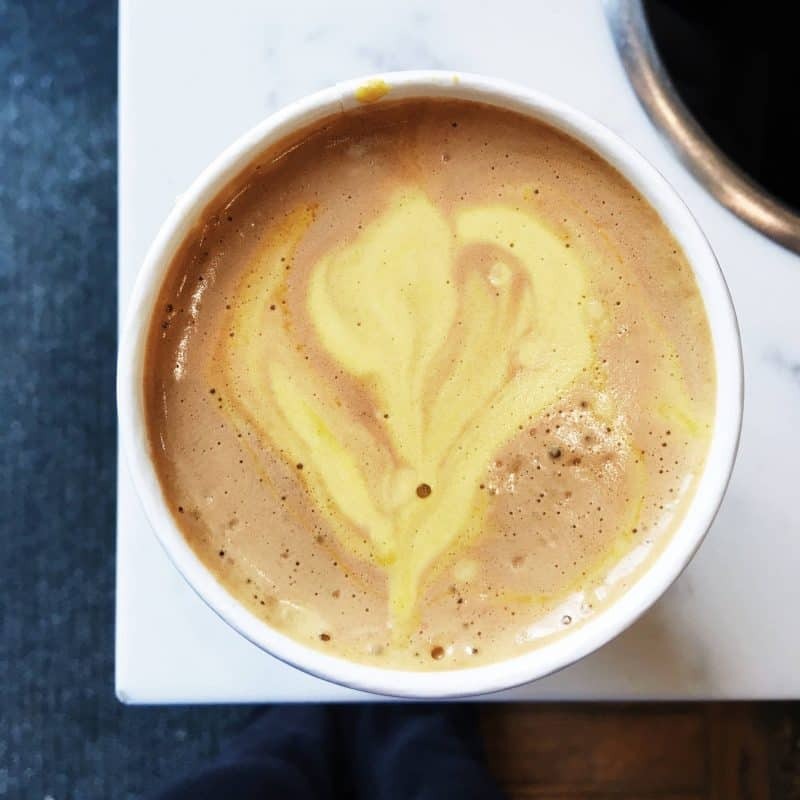 So you all know that I am more of a tea drinker these days, but there was a period of time when I forced Neil to go on weekend coffee adventures with me around the city. Here are some of the best ones I’ve found. 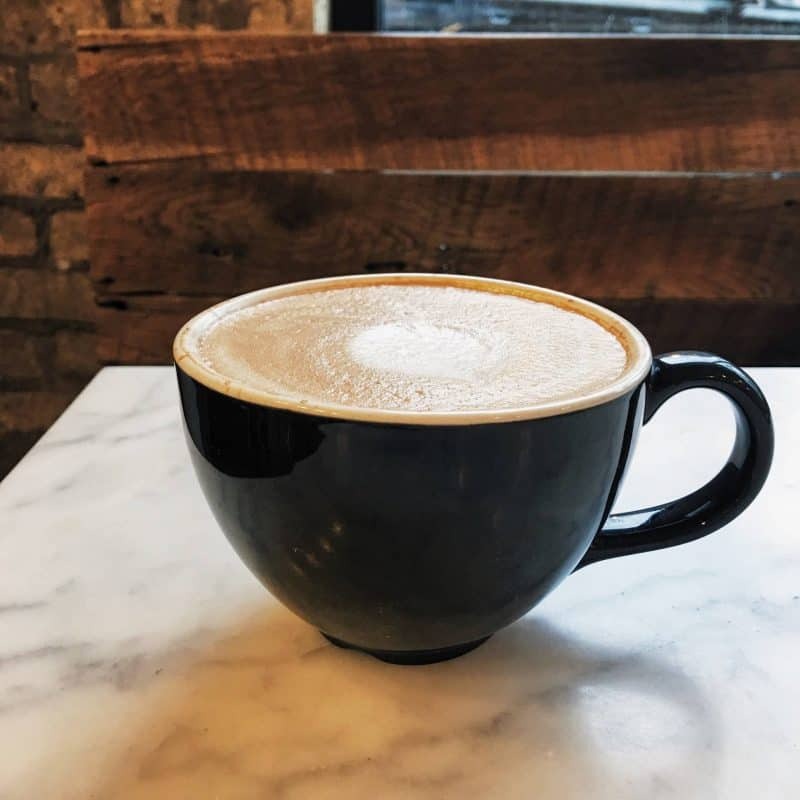 Sip – A West Loop coffee shop with delicious drinks and a wonderful ambiance. There is a secluded outdoor seating area, so add this to your list as the weather warms up! David’s Tea — I’ve loved David’s Tea for years, even when I didn’t have access to one living in VA. Their flavor combinations are amazing and there are tons to choose from. I’d definitely make a stop in one if you can. To be honest, I’m not a huge juice drinker, but I’ve been to each of these places and I think they’re worth including on this list for those of you who are. 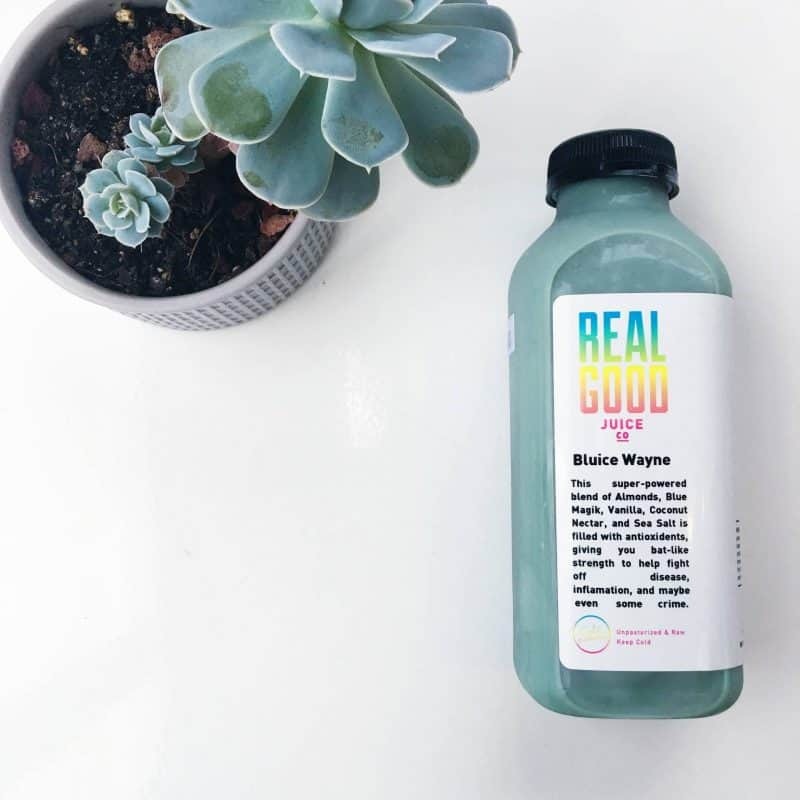 Real Good Juice — many of these are located inside the 21314657 Whole Foods stores we have in the city, but their stand-alone store in Old Town serves up foods as well, such as avocado toast and no-yo (non-dairy frozen yogurt). Hi-Vibe — If you’re looking for cutting edge superfood concoctions, this is the place for you. The last time I was there I ended up drinking a clay shooter. Yes, clay. It’s not somewhere I can go regularly because the juices and smoothie bowls are pretty expensive, but they’re good and good for you! 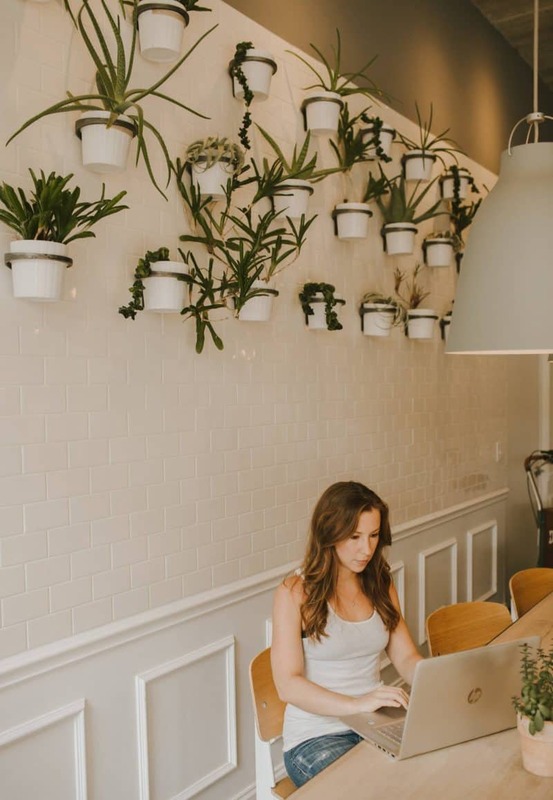 Harvest Juicery — located in the West Loop, Harvest Juicery has the cutest space ever (and is great for Instagram photos 🙂 ). I’m not as close to it as I’d like, otherwise I might stop in more frequently. They have fresh juices, nut milks, and small bites to die for. 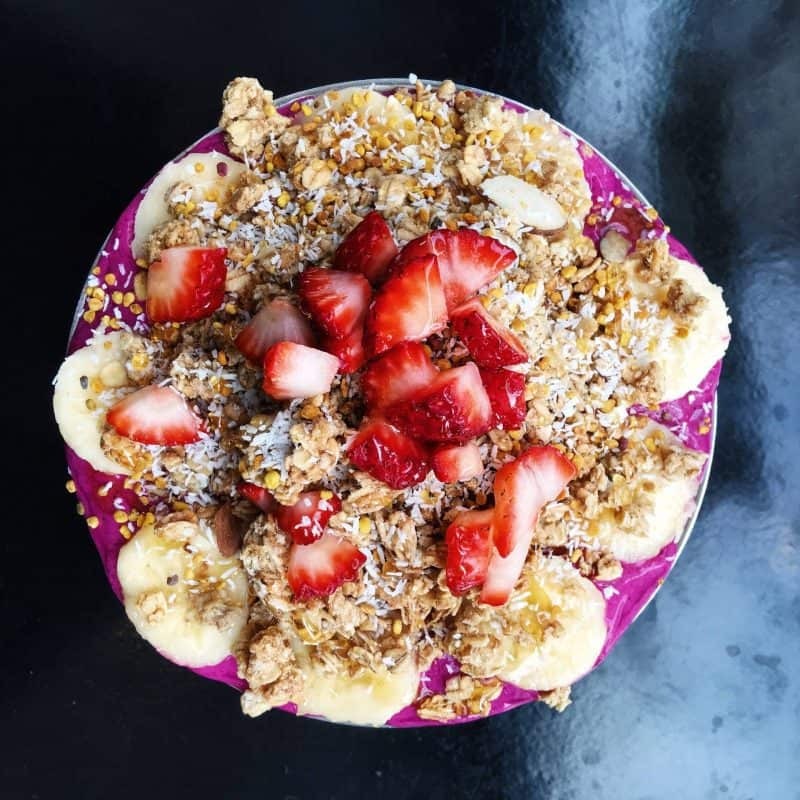 FruVe xpress — the next three are my favorite places for smoothie bowls in the city. This one is my favorite out of all the ones I’ve tried. They have acai and pitaya options and the quality can’t be beat. Peeled Juice Bar — these are not the best smoothie bowls I’ve ever had, but they are the biggest and the least expensive. Although they’re not the best, they’re still really good and it’s often taken me a half an hour to just sit and eat the entire bowl after ordering it. They don’t mess around. Graze — you can find Graze at the Revival Food Hall (see below) and in the lobby of Studio Three in River North. They have smoothies and acai bowls to choose from and are definitely a good choice if you’re in the mood for one. 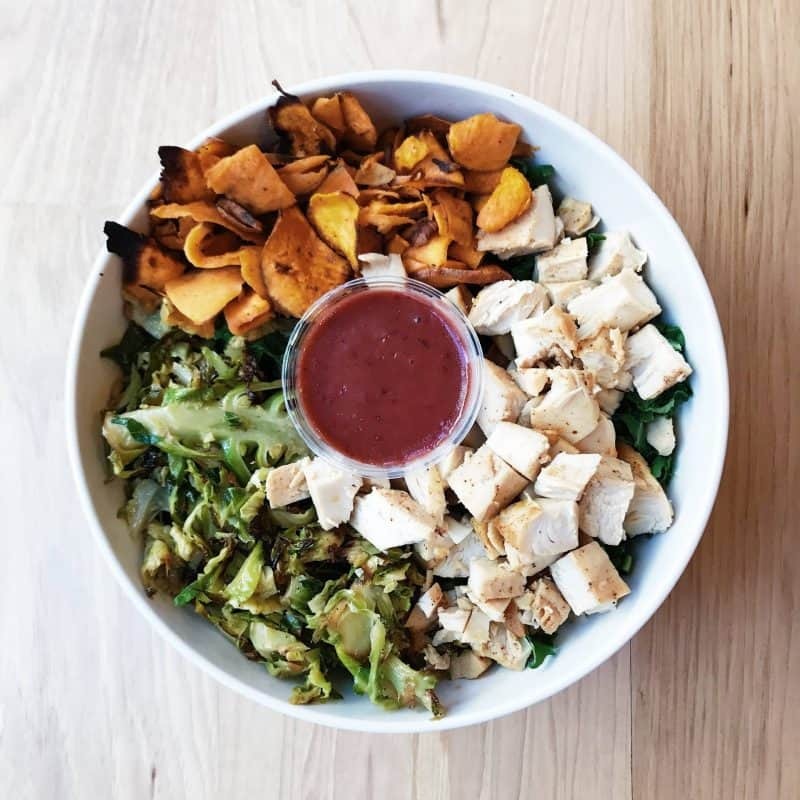 If you’re looking to grab a healthy lunch or dinner, then these are some of my favorite places to try. 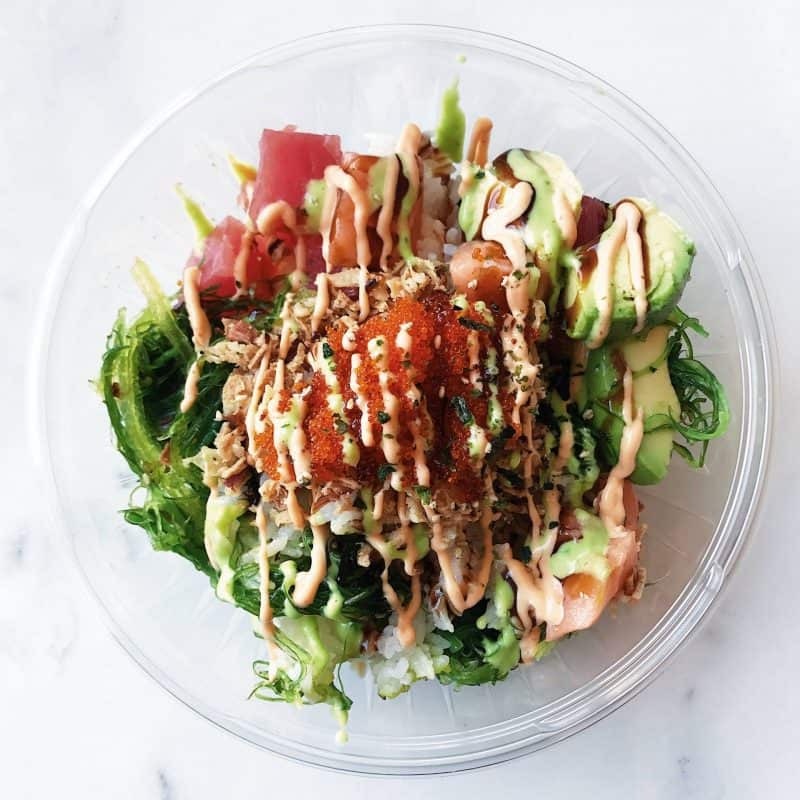 Aloha Poke — I’m absolutely in love with Aloha. When it first opened in the French Market, it was such a unique and novel concept to Chicago. The bowls were simple, fresh, and absolutely delicious. Since then, Aloha has EXPLODED — not just in Chicago, but across the U.S. as well. They’re the best poke in the city if you want my opinion, and definitely worth a trip. 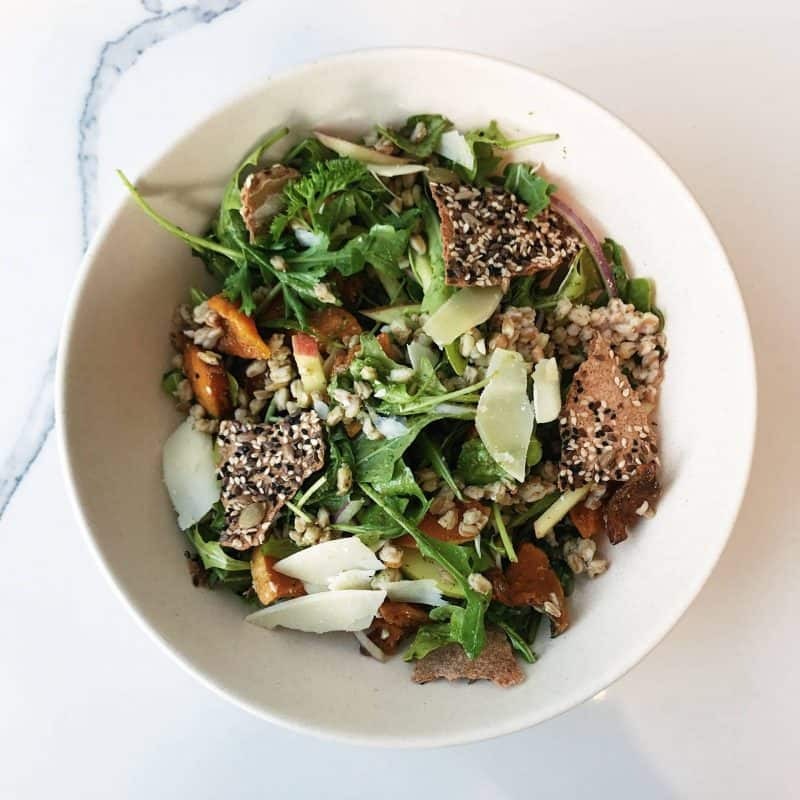 True Food Kitchen — TFK’s menu is based on an anti-inflammation diet developed by Dr. Andrew Weil. All of the foods contain anti-inflammatory ingredients and there isn’t one thing I’ve had there that I haven’t liked. If you can, go on the weekend so you can order from their brunch menu; it’s my favorite to order from there. Sweetgreen — being from the D.C. area, I had a Sweetgreen near me for several years. After moving to Chicago and realizing it wasn’t a national chain, I was seriously bummed out. Thankfully, their first location opened not too far from me and I made it a mission to go as often as I could. Since then, several more have opened and they are by far my favorite salads anywhere. 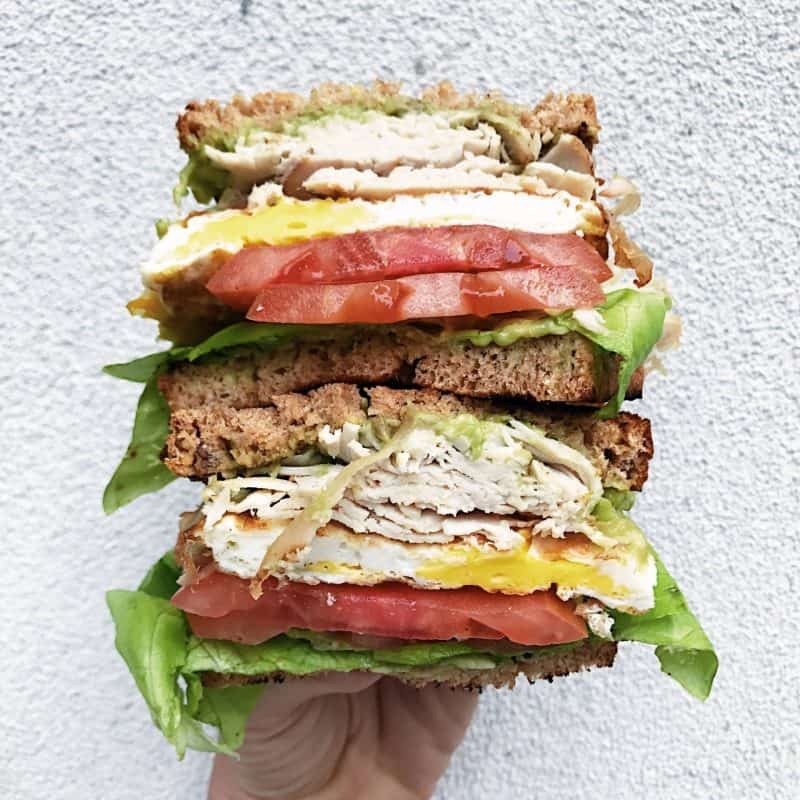 Left Coast — with two locations now, Left Coast serves up an extensive menu of healthy lunch + dinner options. There are smoothies, avocado toasts, wraps, bowls, and any combination of healthy foods you could want. It’s a little pricey, but the food is good! Goddess & the Grocer // Goddess & the Baker — two different brands, but run under the same umbrella. G&G serves salads, wraps, and sandwiches, while G&B focuses more on baked goods. Baker still has some sandwich options, but not as many as Grocer. There are several locations of these as well. 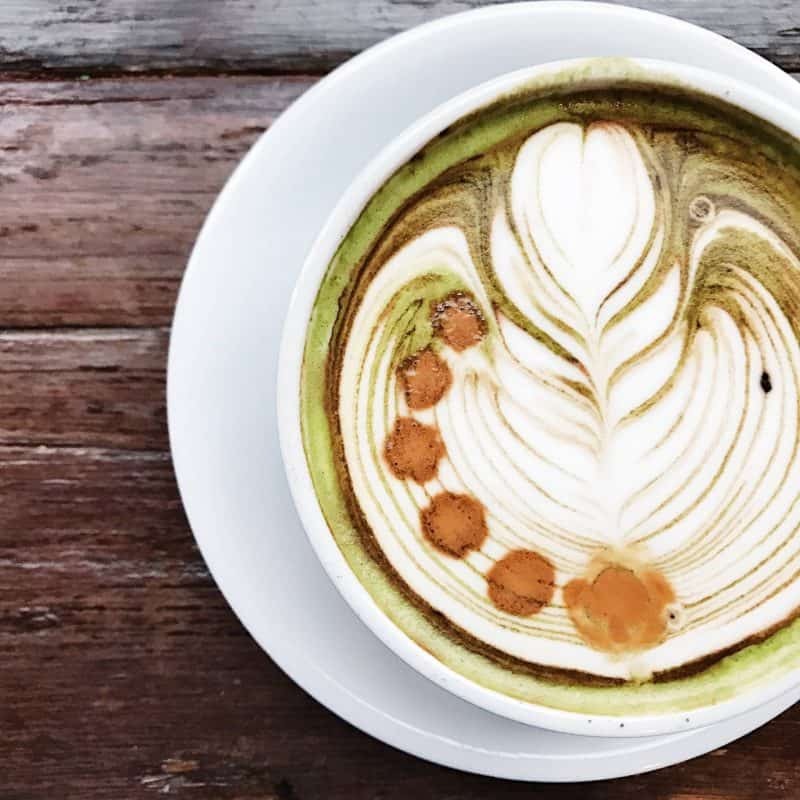 Three Greens – this River North spot has everything you want in one place–coffee, dessert, a hot and cold bar, Small Cheval burgers, and famous pastrami sandwiches. There is also extensive couch seating which makes this a place you may want to spend some serious time in. Chicago French Market – The French Market in the West Loop has something for everyone. It is an indoor collection of numerous food vendors ranging from raw food selections to lobster rolls. You can wander through, listen to the French music, and grab a seat in their large seating area towards the back. This is where Aloha Poke started (and still has a shop). Chicago Health Foods — a small health food store in Gold Coast, CHF also serves food such as wraps and sandwiches at the back of the store. There’s tons of healthy products to choose from and as a bonus, if you give them the code ERINSINSIDEJOB, you can get 20% off your purchase! 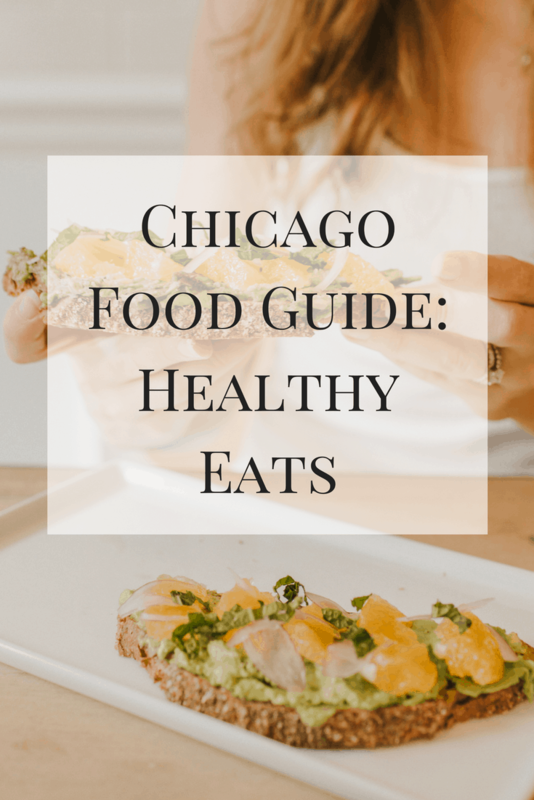 Part one of a very important guide — healthy eats in Chicago! I’m coming to visit you and eating all of this. With Honey Boo. Plus donuts. The end. Wow you put so much work into this, and I see so many favorites that I’ve seen on your Instagram. I’ve always wanted to try the Poke and the Sweetgreen.